This desk can also double as a sofa table or a hall table. The piece has two inset working drawers with brass knobs. 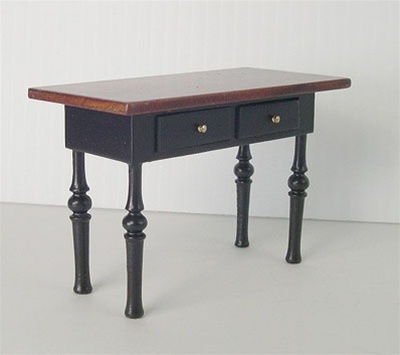 The base and elegantly turned legs are in the painted ebony finish and the table top is finished in the rich spice stain. 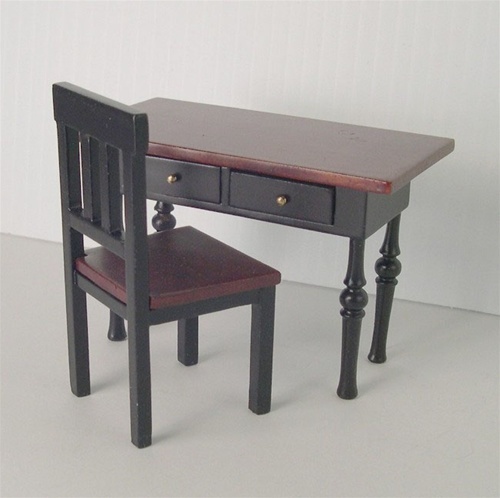 A matching desk chair is available and makes a wonderful desk set. Select 'larger photo' for a view of desk and chair.